Big Data verändert Geschäftsmodelle in allen Dimensionen. Für meine MBA-Thesis in Service Innovation & Design habe ich mich zwei Jahre lang intensiv mit diesem Thema auseinandergesetzt. 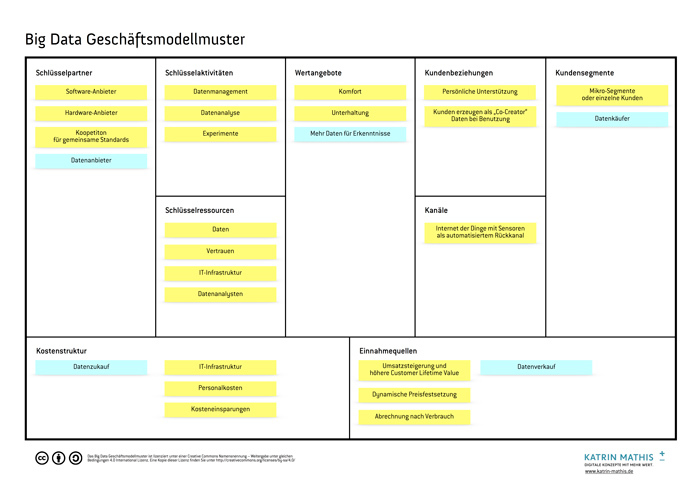 Dabei habe ich einige Gemeinsamkeiten entdeckt, die ich in diesem Artikel als Geschäftsmodellmuster anhand der Business Model Canvas beschreibe. What Do Lean Startups Do Differently? 75% of startups fail. What do the other 25% do differently? One approach aimed to make starting a company less risky that has become highly popular in recent years is lean startup. In 2004 Eric Ries coined the term drawing parallels to the lean manufacturing process at Toyota. Lean startup combines agile methods in software development with customer development.